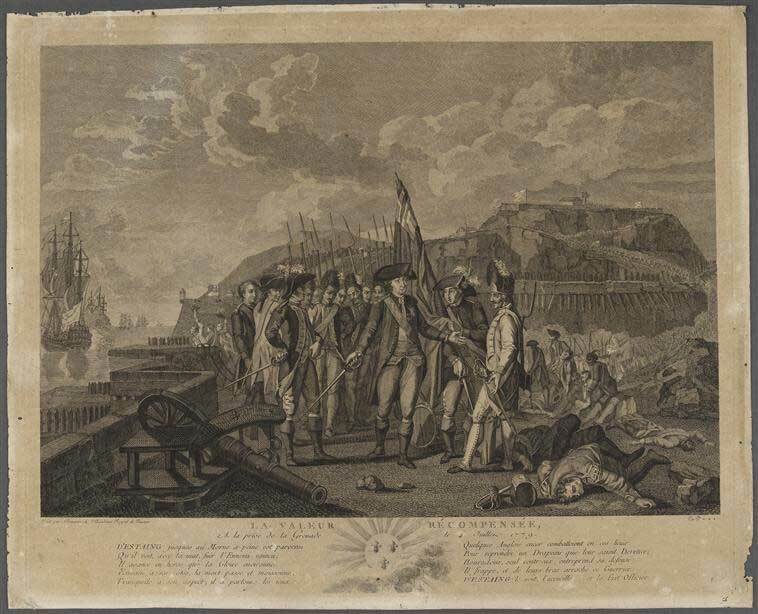 On this day, 4 July 1779, the French, under Vice-Admiral Carles-Henri comte d’Estaing, forced the unconditional surrender of British forces on Grenada following the attack and capture of the Hospital Hill Redoubts. 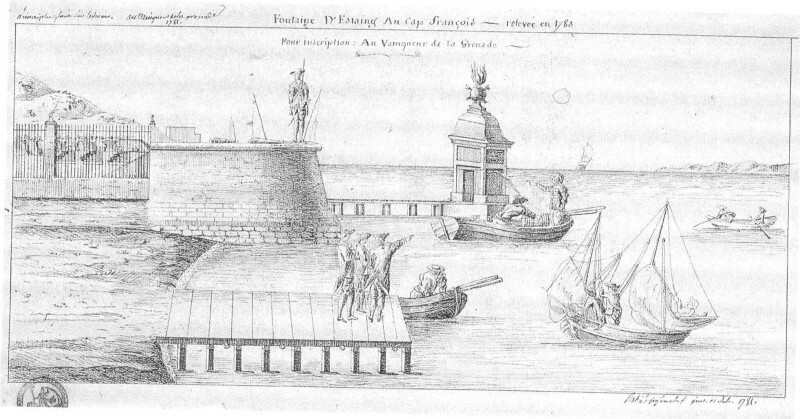 After capturing St. Vincent on 18 June, French forces sailed on 30 June, but difficulty from adverse winds reportedly dissuaded an attack on Barbados, thus the fleet set sail for Grenada. 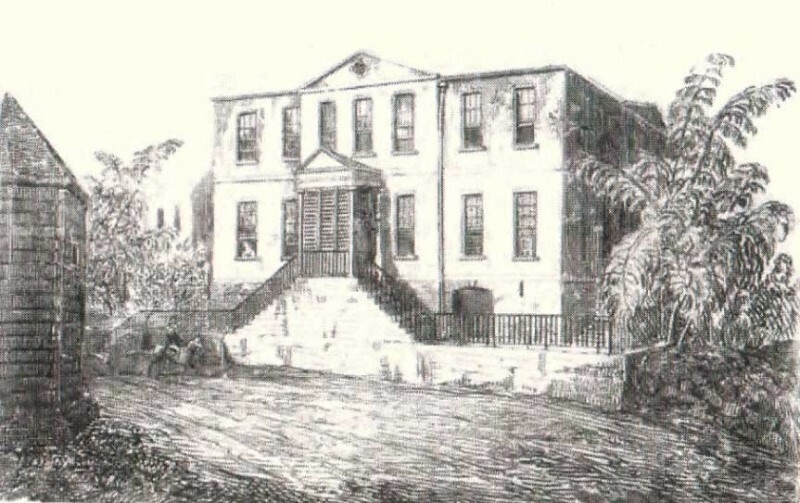 The British at Grenada had received news of the impending attack, leaving Governor Macartney to declare martial law and ready the island’s defenses with available forces: “101 Rank and file of the 48th Regiment, 24 Artillery recruits and between 300-400 Militia.” Believing Fort George inadequate, he decided to make the Hospital Hill Redoubts, located on a hill 400 feet high overlooking Fort George, his primary defense. The governor also sent for help from British naval forces in the Caribbean, hoping that Admiral Byron would be close by to come to his rescue. At mid-afternoon on 2 July the French fleet, with 25 sail of the line, 12 frigates and over 6,500 soldiers and seamen, sailed down the western coast of Grenada and anchored off Moliniere Bay. By the end of the day 1,300–1,500 men landed and took control of the surrounding area. The British, with no forces to spare, could do nothing to prevent the landing. The French plan for taking Hospital Hill called for three columns of troops to attack Hospital Hill from the east and southeast, which meant that they had a long march during much of the day (3 July) in order to be at the designated position by nightfall. The plans also called for a false attack on the Hospital Hill from the west/north to distract the British. With the plans in place, the French sent a flag of truce to summon the British to surrender. D’Estaing believed that “Humanity requires it and the personal consideration which the Count d’Estaing has for Lord Macartney induces him in the most solemn and pressing manner to summon his Lordship to surrender.” Macartney refused, thus forcing the French attack. The French soldiers “silently started up the steep paths that led to the summit of the hill” around 11 pm on 3 July. By midnight “the troops moved and spread themselves” after they had reached William Lucas’ house, the site of the current Government House, about a mile from Hospital Hill where the forces gathered. At around 2 am on 4 July the smaller force that had marched towards the St. John River began the planned false attack. The other forces formed themselves into three columns and began the final assault of the Hospital Hill. An advanced guard at the head of the left column (under the Comte de Durat, future governor) was able to get “through or across the palisade, began climbing the hill.” The rest of the left column “followed through the breach made by the advance guard.” Before long, the overwhelming numbers of d’Estaing’s forces had stormed the Hospital Hill Redoubts and the British forces “were driven from each position in succession.” It took the French about an hour to capture the British position. Macartney and some of his men left before the redoubts were captured and took up position in Fort George, complaining that the free coloureds and the greatest part of the French militia deserted soon after the French attack began. 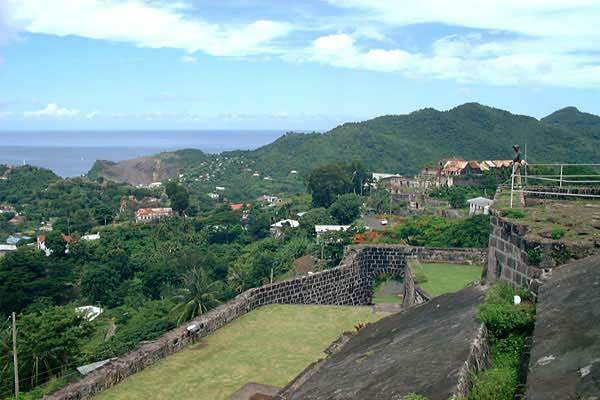 Grenada changed hands three times in its colonial history. Two of those times were rather peaceful, without a shot being fired! Other than Fedon’s Rebellion in 1795-6, the island did not witness an international conflict as it did in 1779 when the British refused to surrender to the French. 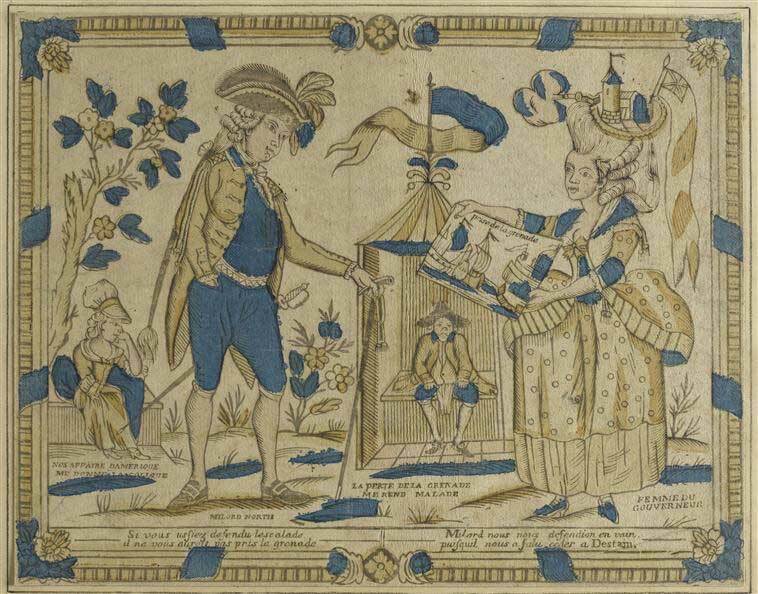 The British considered it as “a great loss,” and the French celebrated it as a great victor, one that merited celebrations in Paris, the commissioning of paintings, a play making fun of the British loss, the display of captured British flags from Grenada and prisoners of war, including the British governor. Even fashion was affected by the French victory at Grenada. The location of the present Government House is as a result of the French capture of Grenada in July 1779. In appropriating William Lucas’ estate for the new Richmond Hill entrenchments/ fortifications, his dwelling was also taken over for the French governor, Comte de Durat. 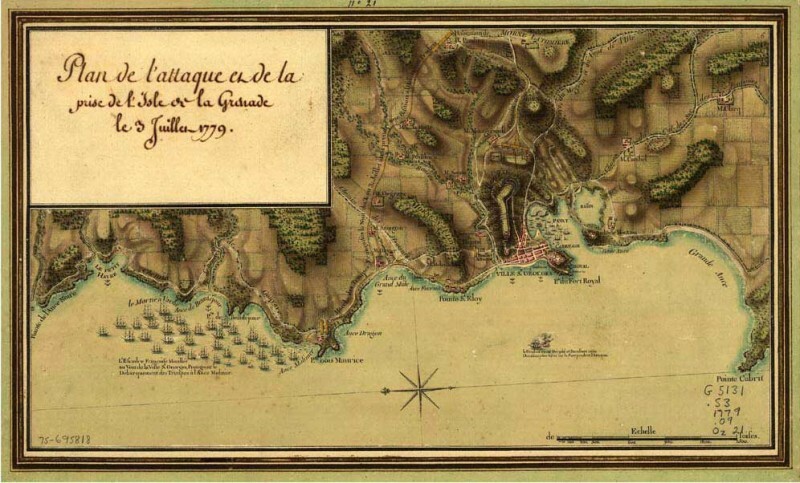 By 1785 the Grenada Government had purchased Lucas’ Mt. George Estate and its dwellings, where the British governor took up residence. It wasn’t until 1807 that a new residence was constructed on the compound. It was the French who decided on locating entrenchments on William Lucas’ Mt. George Estate to defend the island from invasion as they had shown how easy it was to capture the island.